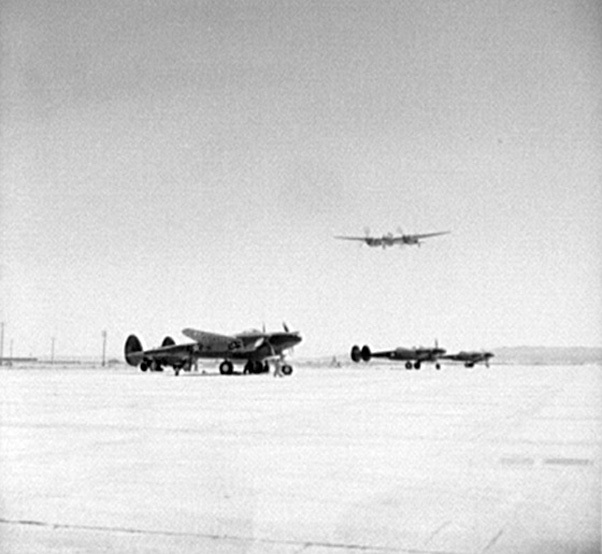 The P-38 deployed at Muroc Army Air Field. In the long history of Edwards Air Force Base and Muroc Army Air Field, many amazing aircraft have called the base home. Many aviation “firsts” have taken place in the skies above that prehistoric lake bed that Gen. Hap Arnold said was “as level as a billiard table.” In the 1930s, the early aircraft that would make their way up to the High Desert from March Field in Riverside county were not much more than advanced designs of World War I-era aircraft. On occasion, private aircraft owned by thrill-seekers and industry leaders would make their way to the lake beds of the High Desert to set some records, or just see how a new design would shake out. With war on the horizon in the late 1930s, Mother Nature’s runways started to get a real serious look from Uncle Sam, and aircraft that were not really earthshaking began the slow process of developing into something that would fill the military’s requirements if and when the United States entered the war. On Dec. 7, 1941, Muroc Army Air Field would change forever as, before the sun set that night, two air groups would be landing on that lake bed. The coming together of combat air operations and the need for aircraft contractors to have a facility that could serve the test requirements needed for advanced aircraft design was at ground zero of aviation development and combat operations that still carry on today. When you think of “experimental” aircraft and the early days of Muroc, the Bell P-59 is the plane most people would feel was the first to have its legs stretched on the lake bed — but the reality is there was another aircraft that had come off the design table and was fast-tracked into production to meet the needs of the war effort. Initally known as the Model 22, the Lockheed P-38 Lightning would be the first and most active airframe to be pushed to the limit over the dry lake beds in the war years. Amazing to think that, at the same time the brave young airmen answering the call to train for war were taking to the air in the P-38, they were sharing the same lake bed with test pilots flying the same aircraft, trying to work the bugs out. Needless to say, planes were going to crash and pilots were going to die — but the simultaneous flight test/training process at Muroc pressed on, for we were now at war and time was a precious commodity we didn’t have. 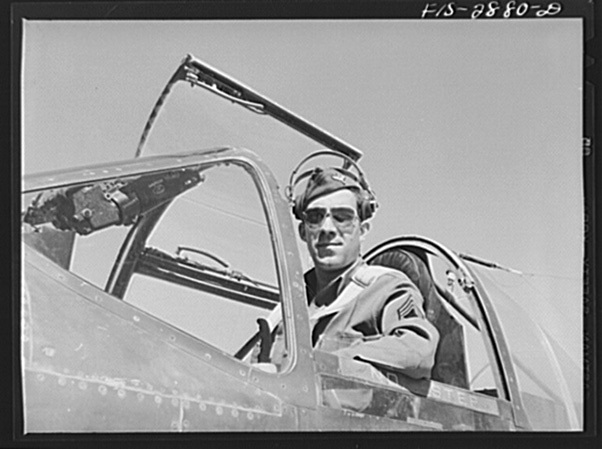 An early P-38 Flying Sargent in training at Muroc Army Air Field. The plane that first defined what Edwards would become, in all its manifestations, was the Lockheed P-38 Lightning. When looking at footage of the first Jan. 27 flight in 1939 of the XP-38, which was an airframe that lasted for less than a month, Muroc was already destined to be the home of flight testing of the first XP-38s and hundreds of P38s that would call the base home during the second World War. When the Burbank Lockheed crew hit the dry lakes and production lines kicked into full gear after Pearl Harbor, it was interesting to see Lockheed test pilots like Herman “Fish” Salmon performing spin recovery tests over the dry lake beds. Young combat pilots training for war looked up to see a test pilot working the very problem that was killing many of their fellow pilots. Those young flying sergeants learning to fly an airplane solo, which at that time was the most powerful production combat plane in the United States, sure showed their grit in pressing on with their training. I have seen film footage of Fish Salmon over the lake bed being the very first to perform the test regimen that would become the signature trademark in the sky at Edwards, by pushing an airframe to its very limits. On one of those test sessions he completed 28 individual spin tests, to come up with the procedure to best recover a P-38 in a flat spin under varying conditions. Over the early years of the 1940s, Ben Kelsey, Tony Levier, Milo Burcham and Salmon would make the daily flight up to the High Desert to take advantage of a flight environment that was superior to just about any other place in America. 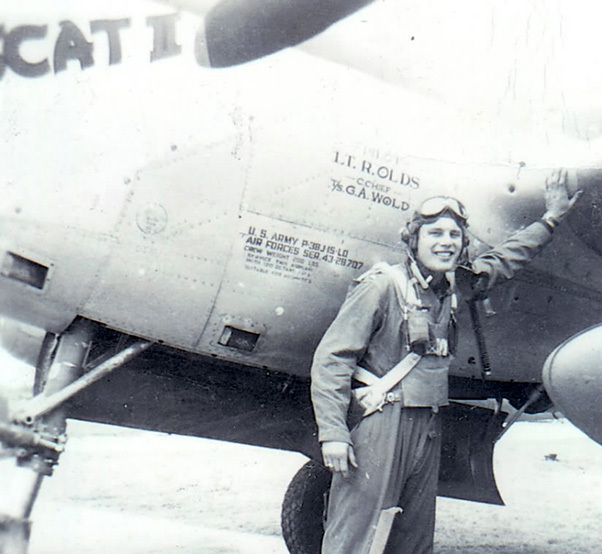 World War II Ace and Muroc-trained P-38 pilot Robin Olds. Another aspect of the P-38 at Muroc, that adds to its status as the first to make a name for itself on those lake beds, is all the hundreds of pilots that took to the skies to learn the business end of war in the cockpit of a fighter plane. In a book covering the history of the 82nd Fighter group, whose history stretched from Muroc to Foggia, Italy, stories were shared of the flying sergeants who lived with the constant fear of not just washing out, but ending up in a smoking hole on the lake bed. Many other fighter groups would come and train at Muroc and for many it was the last stop before going overseas to fly combat. 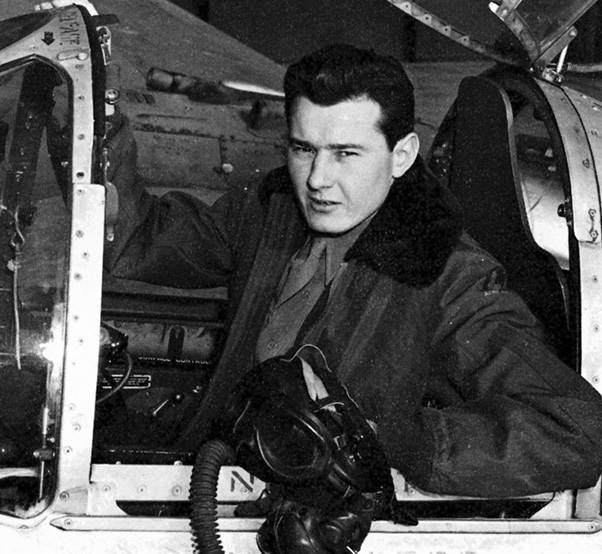 One of those young pilots who would go on to became one of the most colorful and beloved pilots in Air Force history, Robin Olds, trained in those early P-38s and would end up in Vietnam flying F-4 Phantoms, in a war that looked nothing like the air war over France, Belgium and Germany. 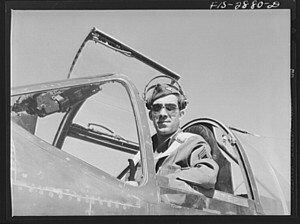 Robin would become an Ace flying the P-38 that he trained in at Muroc before deploying to Europe, transfering to P-51s to finish out the war. I could go on and on with more names of those who found their skill in training at Muroc and went on to greatness flying combat. Sadly, we can research the names of the dozens of young pilots who had their last flights at Muroc in the P-38. But one thing we must admit is that when it comes to Muroc/Edwards and the very first airplane that would take to its skies in test form and in combat dress, the Lockheed P-38 Lightning without question was the airframe that defined flight operations before the secret X-plane programs kicked into high gear. Famed test pilot and Muroc/Edwards legend Bob Hoover was an accomplished P-38 pilot. I’m hoping that the new Flight Test Museum will have a special spot in their displays for a plane that is just as important to Muroc history as all the incredible aircraft that flew in the years after. Do I have a special place in my heart for the Lightning? You bet I do, and with the second generation of Lightning IIs stretching their legs at Edwards, I can’t think of a better story to have shared than one that brings the past and the present together. Let’s salute the spirit of all those airmen who pushed throttles to full power and watched as the dust off a dry lake bed marked their exit from mother earth and into the clear blue skies! Until next time, Bob out ….